‘Meet me under the scoreboard’. Olds Park is the home ground of Australian Rules football club St George. 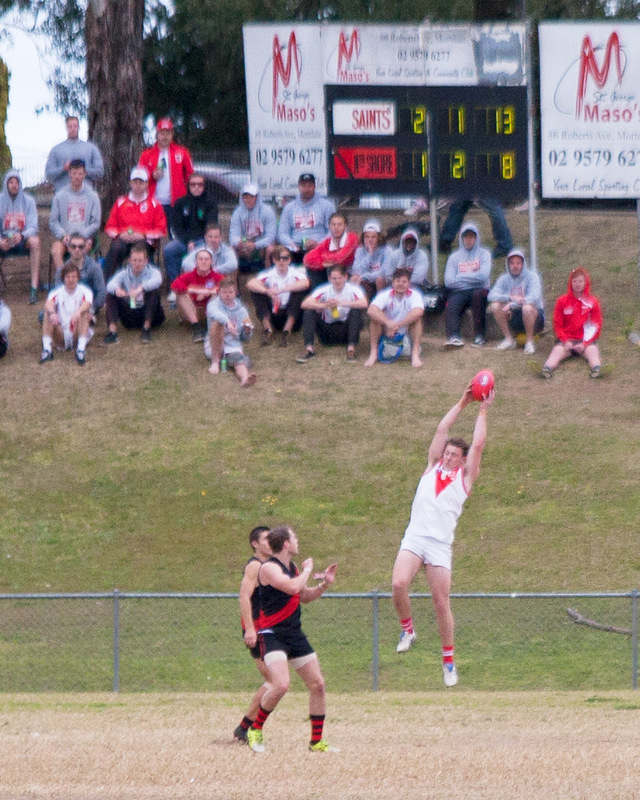 The Dragons play in the Sydney Football League Premier Division. I visited the ground for the Round 16, 2015 game against North Shore Bombers. 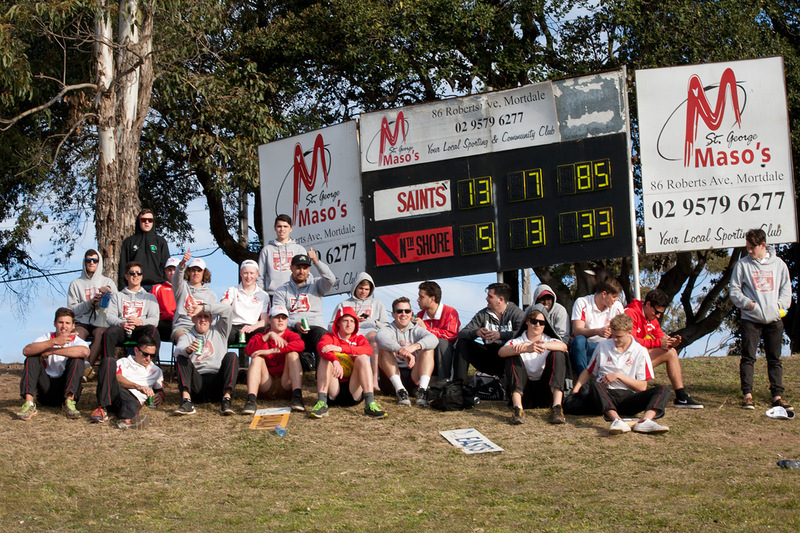 At this late stage of the season the St George Dragons were gathering momentum in the lead up to the finals, and the Under 19s and Division 1 teammates perched under Maso’s Scoreboard were giving plenty of witty support to the seniors, who went on to win by nearly 100 points. At half time, I took the camera into the rooms and discovered some old treasures…a 1928 Dragons footy jumper and this nostalgic treasure photo of the 1934 team. More photos of Olds Park, and the Dragons. 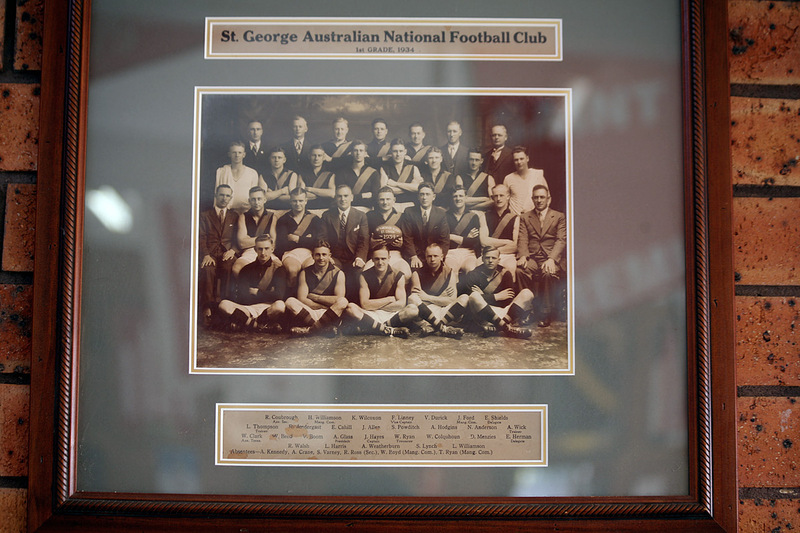 The St George Australian Football Club was formed in 1928. Footnote: if St George are the Dragons, why does the scoreboard say the Saints?